Here’s an exercise from a team building class I attended that I wanted to share with you. It uses questions from a Mensa quiz to illustrate the point that a team’s collective wisdom is always greater than any individual team member’s. 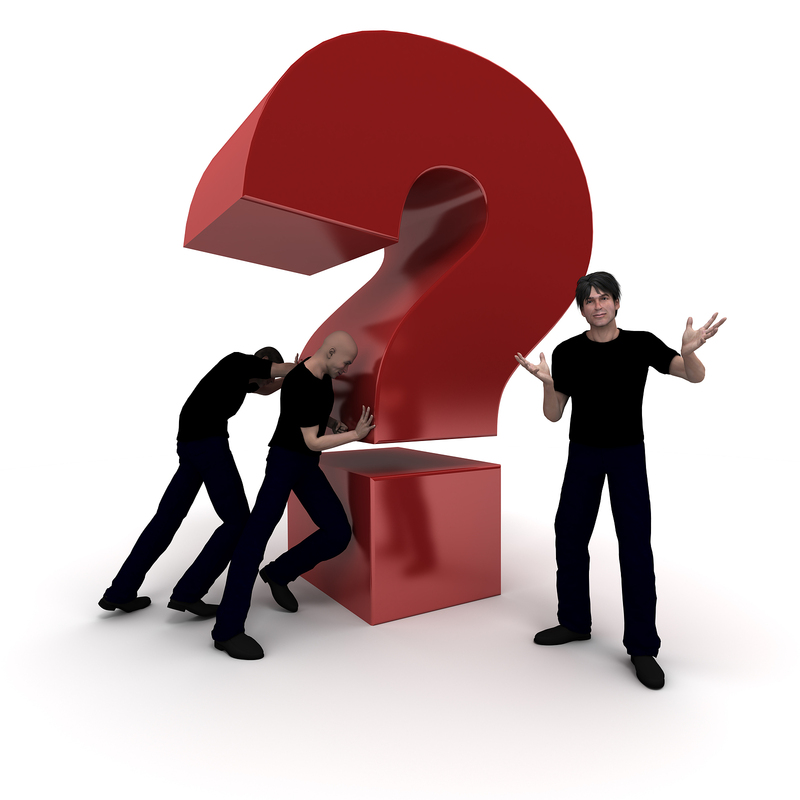 To get started, see how many of these questions you can answer individually. 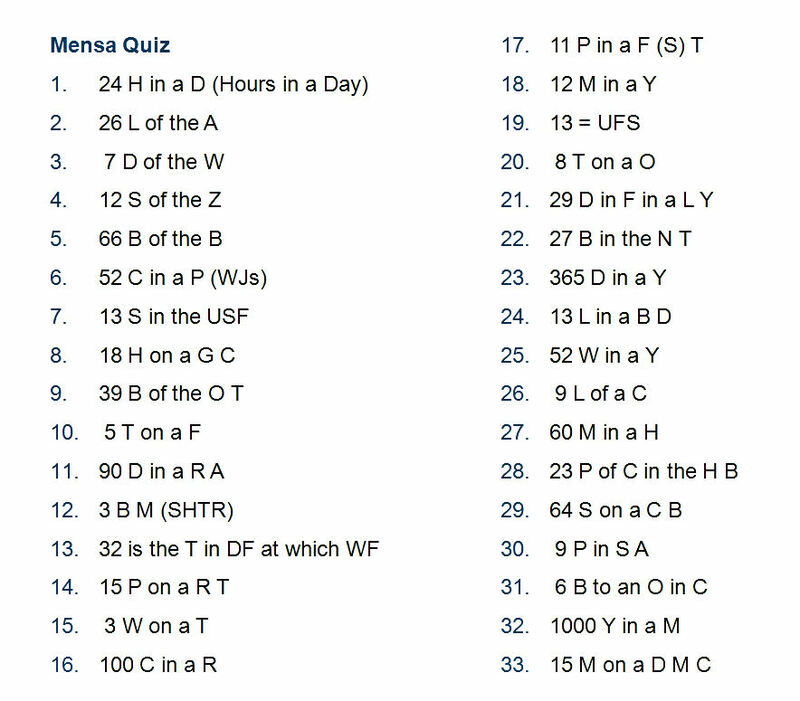 According to Mensa, if you can figure out 23 of these, you qualify for “genius” status. Now, gather your team together (or send them a link to this page). How many of these phrases can your team correctly identify as a group? When we conducted this exercise in class, results varied widely. Some people scored high, some people scored low. Some people came up with the more obscure answers, while others missed the easy ones. The point of course was that no matter what, the group as a whole always outscored the individual members—even the really smart ones who got many of the answers all by themselves. In every case the team was smarter than the individual members and had a greater capacity to answer the questions that were put in front of it. What gets in the way of sharing? Now ask yourself two more important questions. 1. What can we do as a team to break down individual silos and share information more freely? 2. What individual or organizational barriers are getting in our way? Teams perform best when they operate as a collective unit instead of as a collection of individuals. But that takes work—it doesn’t happen by itself. As a leader or senior team member, consider what you can do this week to help your team share more freely. It’s good for you, your team, and your customers! This is a great exercise, thanks for sharing. I will try it at my upcoming staff meeting. this quyiz and see for yourself | Blanchard LeaderChat <Loved it!